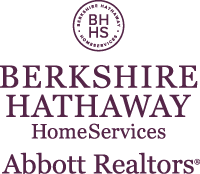 Any reference or mention to third party companies and/or products on this website of BHHS Abbott Realtors is for purely informational purposes only. This information does not constitute either an endorsement or a recommendation. BHHS Abbott Realtors accepts no liability whatsoever for the use or misuse of any third party companies and their products and/or services.